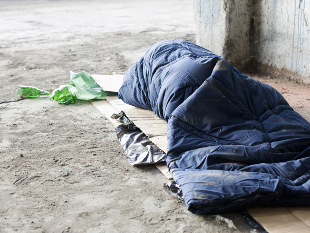 Cllr Lily Bath, Cabinet Member for Housing and Social Inclusion, said: Hounslow council is proud to support the launch of the Mayor of London’s new Rough Sleeping Campaign. “Hounslow council is proud to support the launch of the Mayor of London’s new Rough Sleeping Campaign “No one needs to sleep rough in London”. Tackling the housing crisis and addressing rough sleeping is a top priority for this council. Earlier this year, we were successful in securing £300k of additional funding from the Ministry of Housing, Communities and Local Government and this money will go towards continuing to build and work with our existing services and partners to actively identify, engage and provide much needed accommodation and support. We are committed to helping the most vulnerable on our streets, who are homeless and sleeping rough, especially as the colder months set in. We are determined to ensure that they have a roof over their heads and to support them in finding a journey off the streets." We therefore welcome this additional initiative by the Mayor of London, which should help us to support even more people to get off the streets, and into homes.